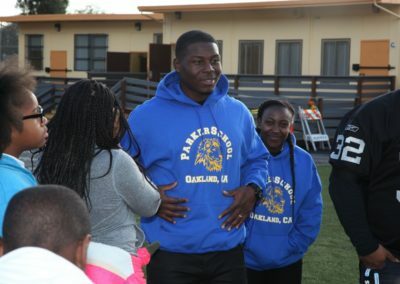 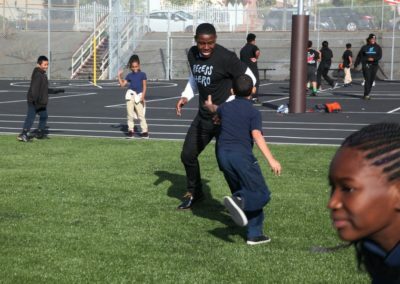 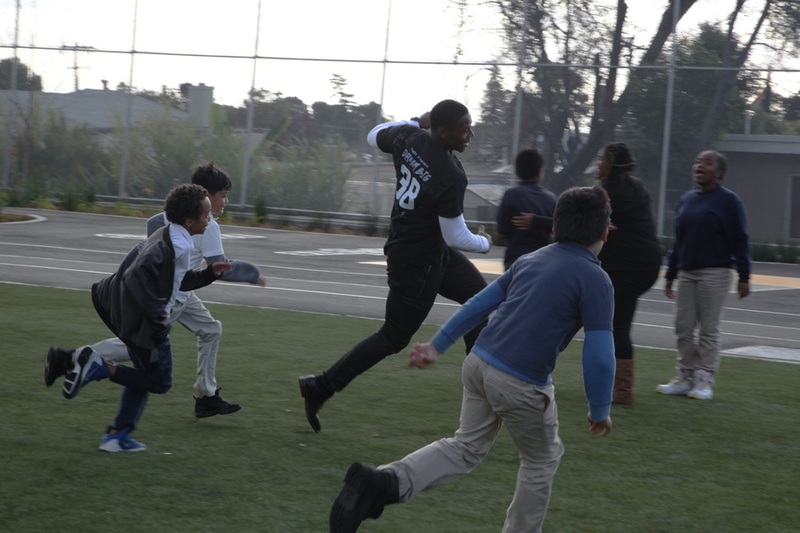 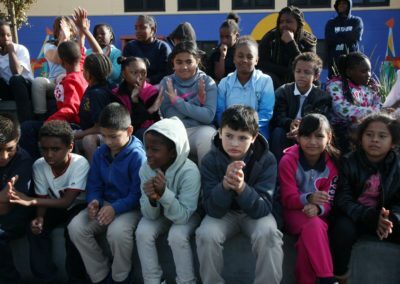 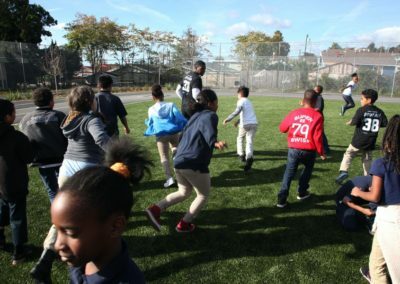 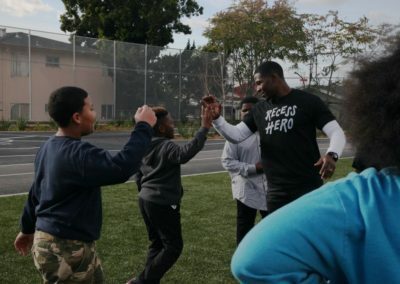 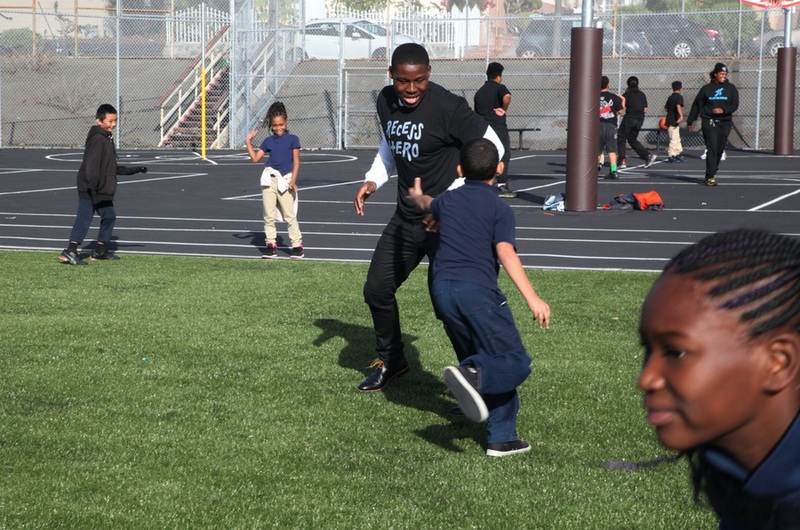 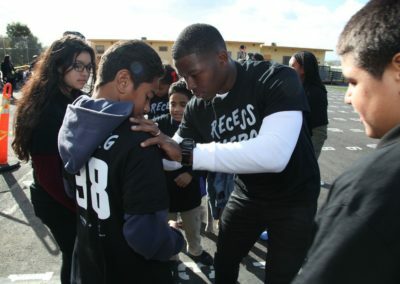 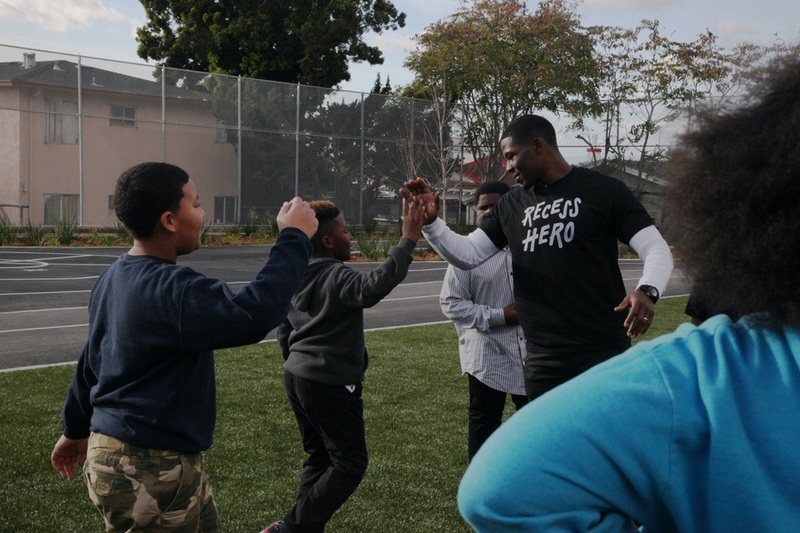 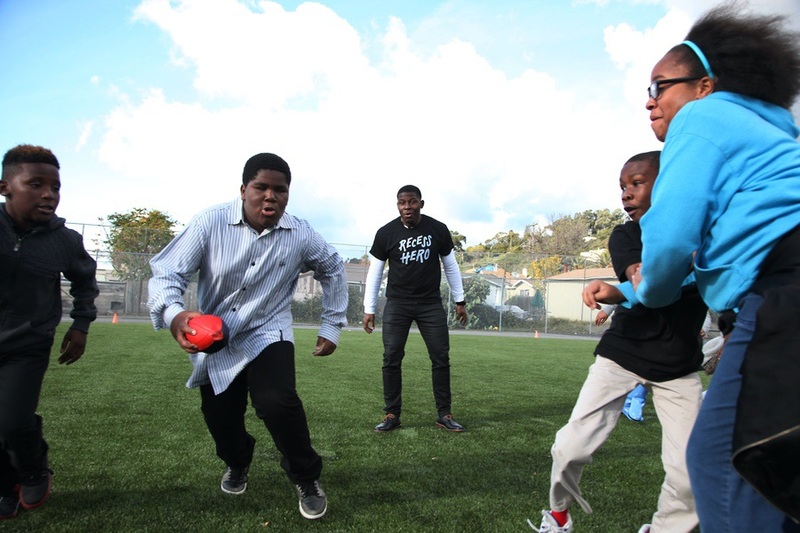 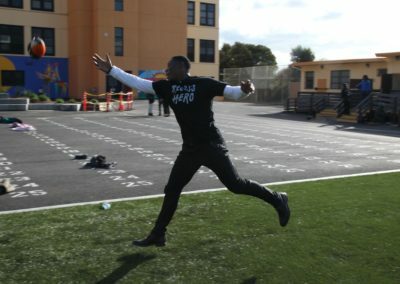 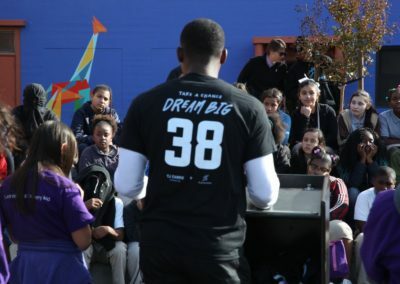 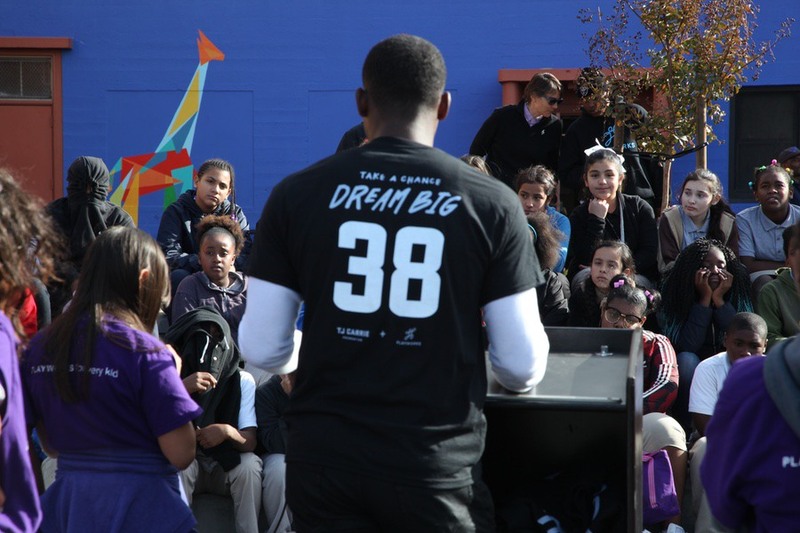 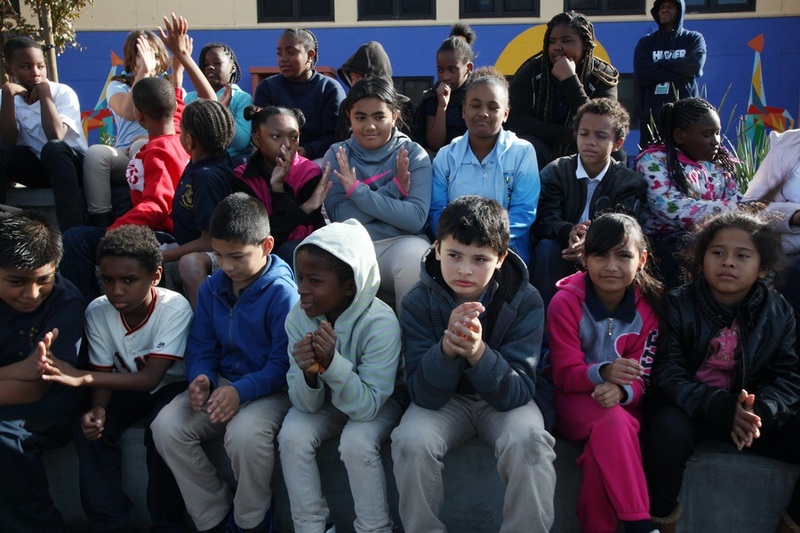 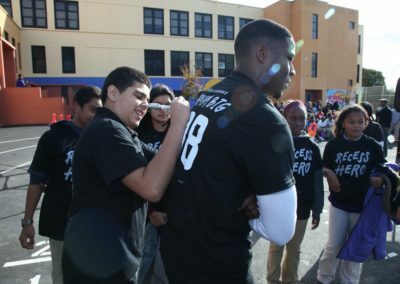 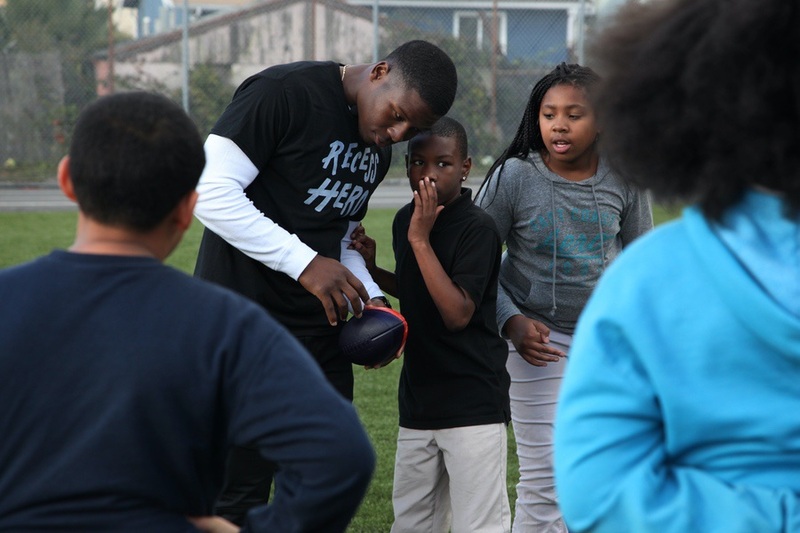 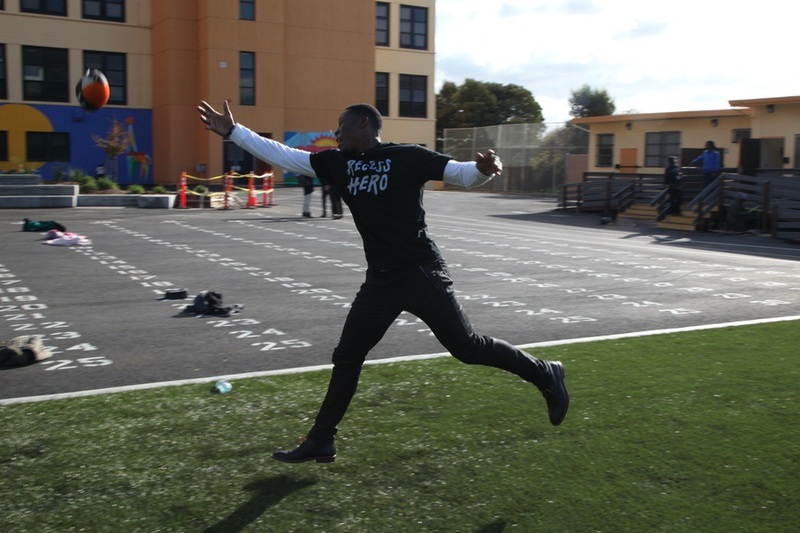 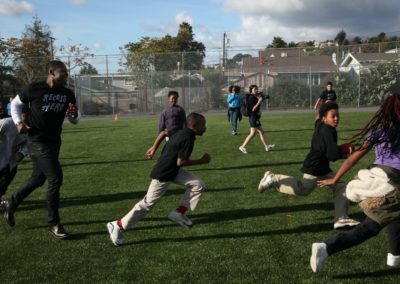 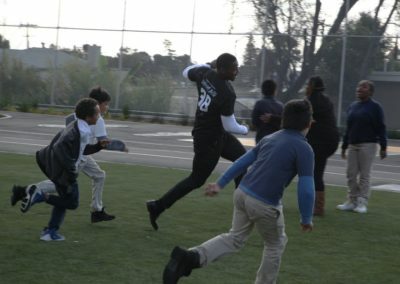 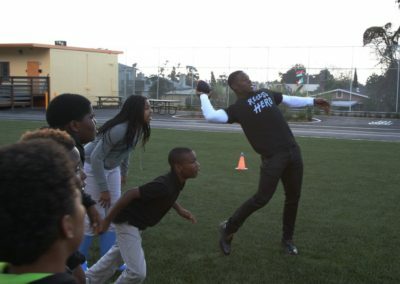 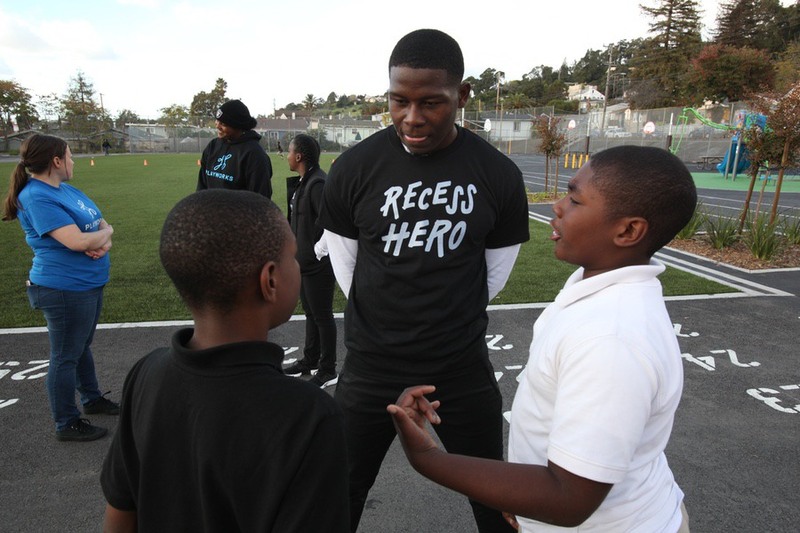 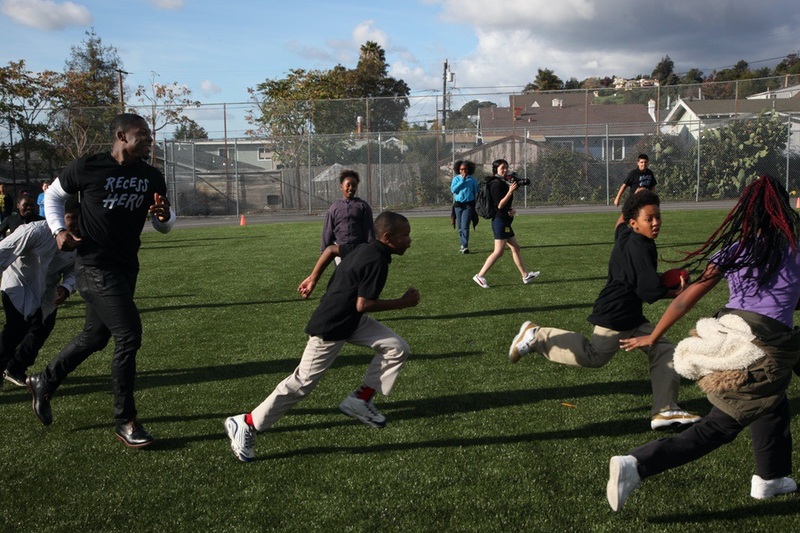 Oakland Raiders cornerback TJ Carrie launched his charitable foundation with students on the playground of Parker Elementary in Oakland, partnering with Playworks and Silicon Valley Community Foundation. 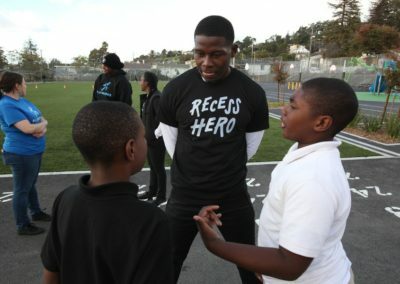 Together, TJ and Playworks created an exciting playbook for Parker Elementary entitled “Recess Hero.” This innovative incentive program empowers the Junior Coaches to challenge all students on the playground to join TJ’s team and be a “Recess Hero.” TJ is the first athlete in the nation who has adopted a single school through the Playworks program. 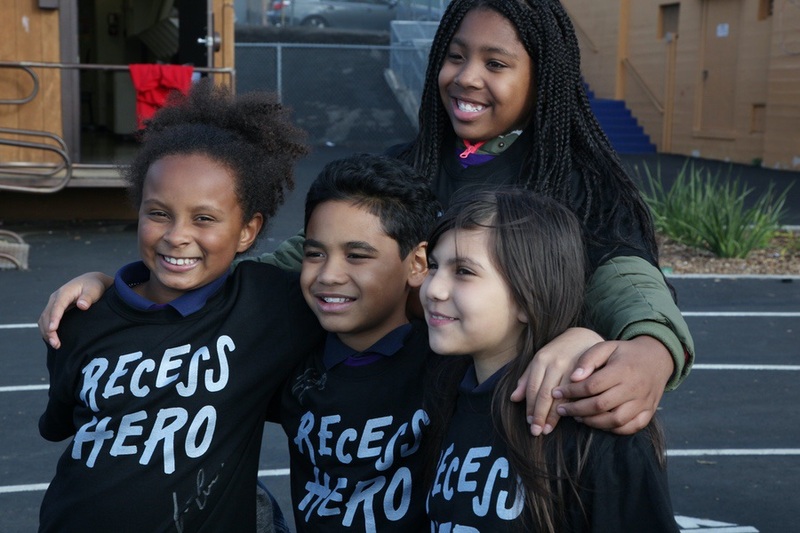 As part of TJ’s “Take A Chance: Dream Big” call to action, “Recess Hero” focuses on core values such as respect, teamwork, inclusion, positive conflict resolution, and leadership skills. 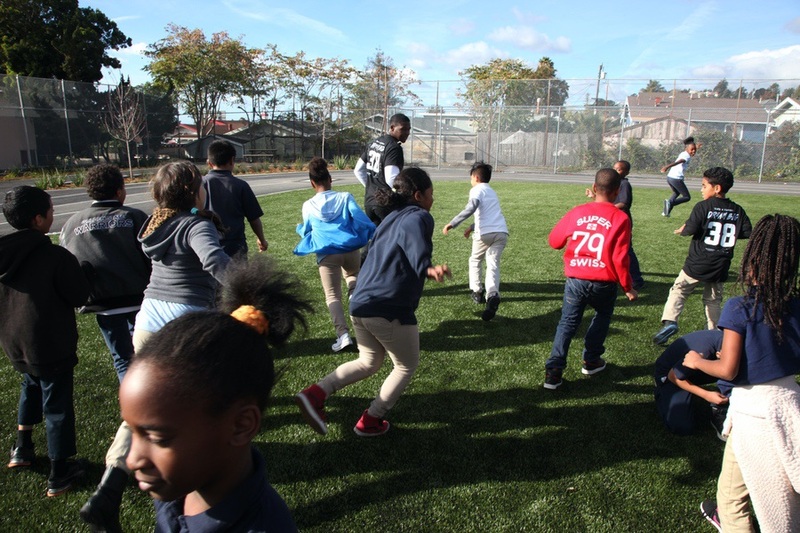 Following the foundation announcement, TJ joined the students for recess, as he regularly does, challenging the children to a game of gaga ball, 4-square, 21 football, or tag to name a few. 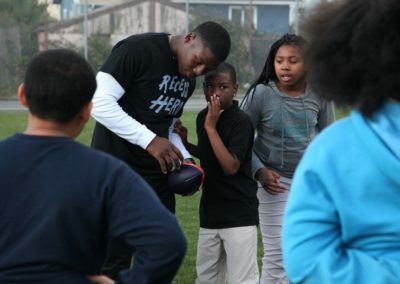 All the while, he’ll encourage them to make good choices, and most importantly, will be delivering high-fives to everyone! 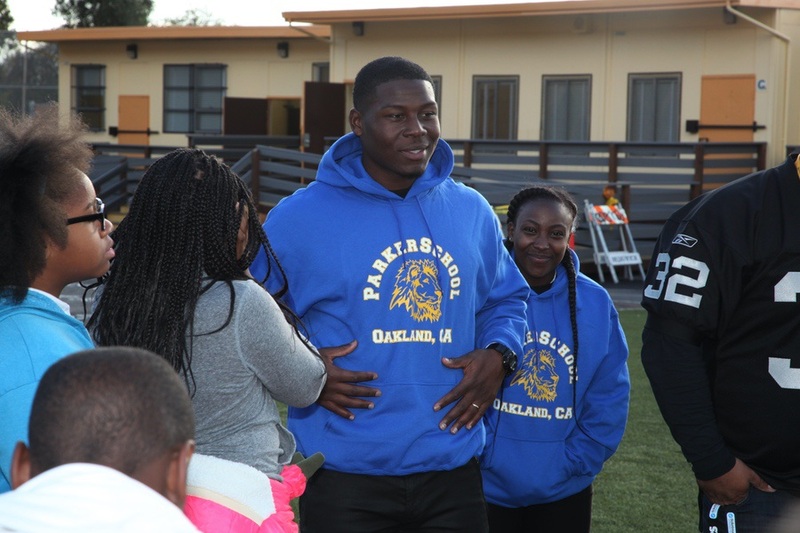 With TJ earning a Master’s degree in coaching education, Playworks was an obvious teammate for the TJ Carrie Foundation. All students received an autograph scorecard from TJ with his goals for them on the back. Students and staff achieving the goals will receive a Silver and Black “Recess Hero” t-shirt.